This years cold and flu viruses have hit my family pretty hard the last few week. It seems like we would just get over one cold and be infected with another. My daughter was sick most of all and because of this she was house bound most of the time and lately had started to get cabin fever. Finally the past few days she’s been feeling much better and we knew it was time to get out of the house and do something. We are always trying to find new things to do, and with the winter weather finally hitting us in Jersey trying to do anything out side is just not an option. With a quick google search we found a place we hadn’t been to before and thought it sounded like the perfect place to check out, and best of all it was just a short drive over the bridge in Philadelphia. 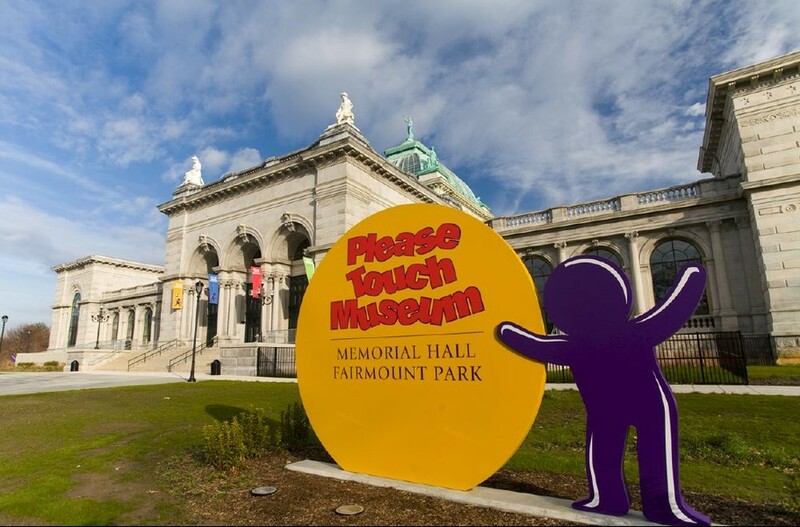 The place was called The Please Touch Museum located in Fairmount Park just outside of center city Philly near the zoo. As soon as we walked in my daughter was off to the races checking everything out. As the name of the museum suggests everything is geared towards kids and they can touch and play with everything inside. There is a mock grocery story where the kids can get a small shopping card and pick up plastic groceries and even has a self check out they can use to “pay” for their items. 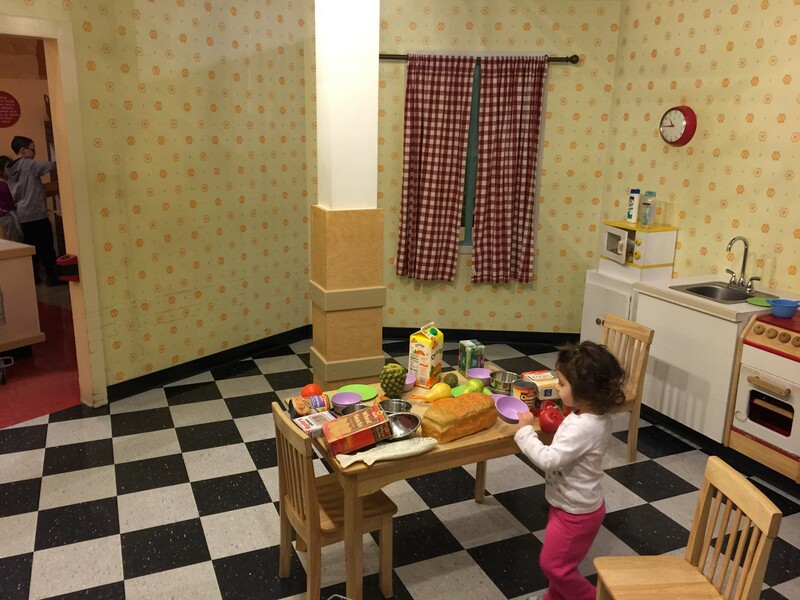 All throughout the museum there are different areas for the kids to pretend and play in scenarios like a kitchen, and even a restaurant. Below is a picture of my daughter Hanna making dinner with some groceries she had picked out. There was an Alice in Wonderland area with a hedge maze, and all the characters from the book helping us along the way. The museum has a nice flow to the design that ensures you don’t miss any of the exhibits. It was pretty busy when we went but it was so large that we didn’t feel we were crowded in, and the kids had lots of room to play with the exhibits. There was even a public transit bus and trolley on display for the kids to explore. 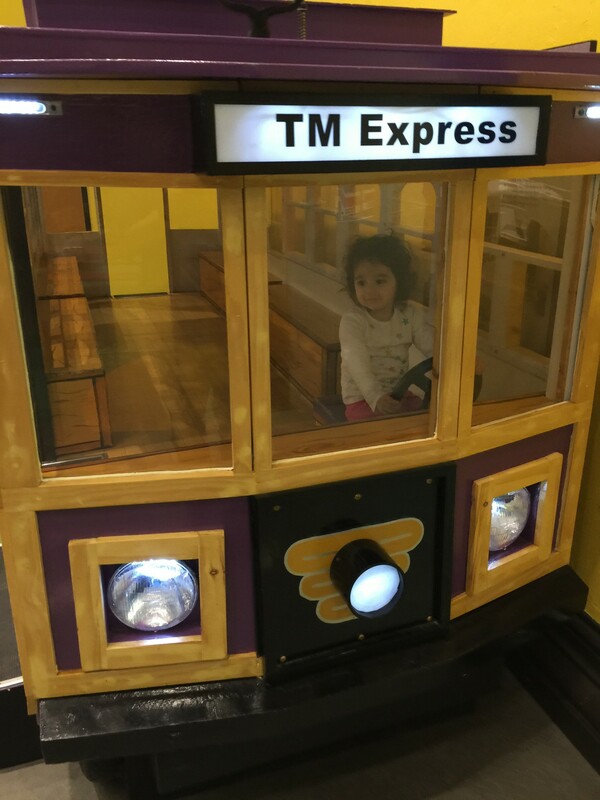 Hanna enjoyed driving the trolley. In the east end of the museum there is a large open area with an amazing carousel. You have to pay for a ticket with your initial museum admission but it is well worth the small price to ride. 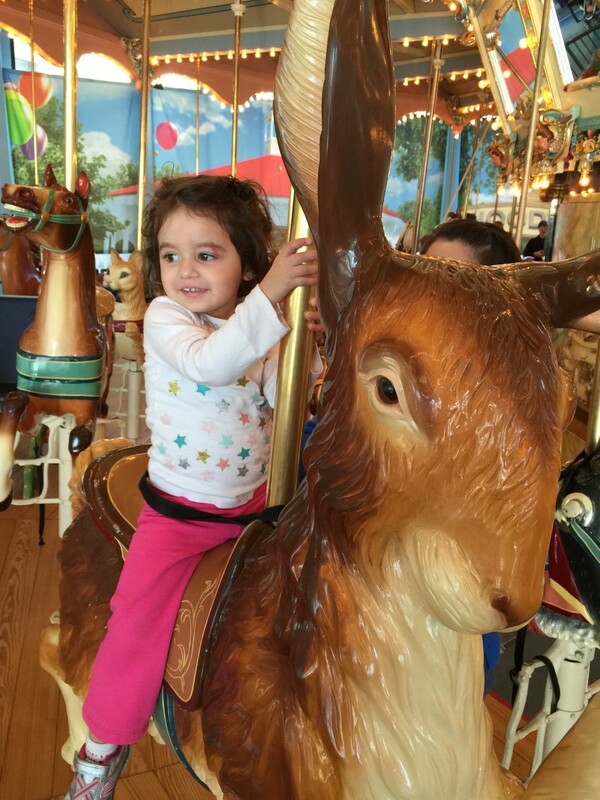 The carousel doesn’t have just horses, and it made Hanna’s decision a little harder with so many options of what she wanted to ride. She ended up choosing a large rabbit. As soon as the carousel started she was in heaven and the smile on her face only ended when we had to drag her off once the ride was over. As we got off the carousel and headed back out to the museum something caught my eye. There were a bunch of kids huddled around a penny machine trying to figure out how it worked and exactly what it did. With my daughter by my side I walked up and grabbed some spare pennies and quarters I always make sure I have for just this type of situation. Once we got to the machine the kids backed up bit to watch. As I put the coins in the machine and started to turn the handle they were in hypnotized by the clicking noise of the gears pressing the pennies. Each time a penny was pressed and it would drop into the cup at the bottom I held it out in my hand for everyone to check out. 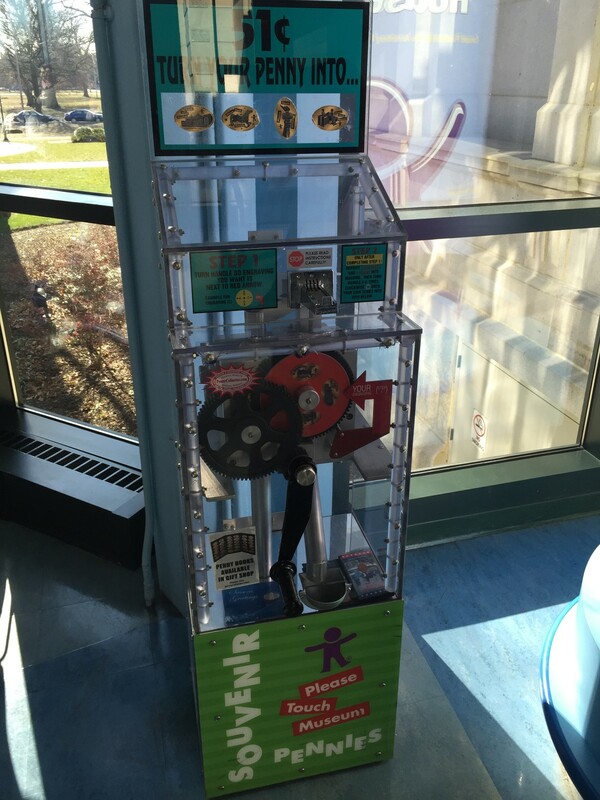 With the 4 freshly pressed pennies in hand we walked away from the machine and I could hear the kids all running to their parents asking for spare change to use in the machine. 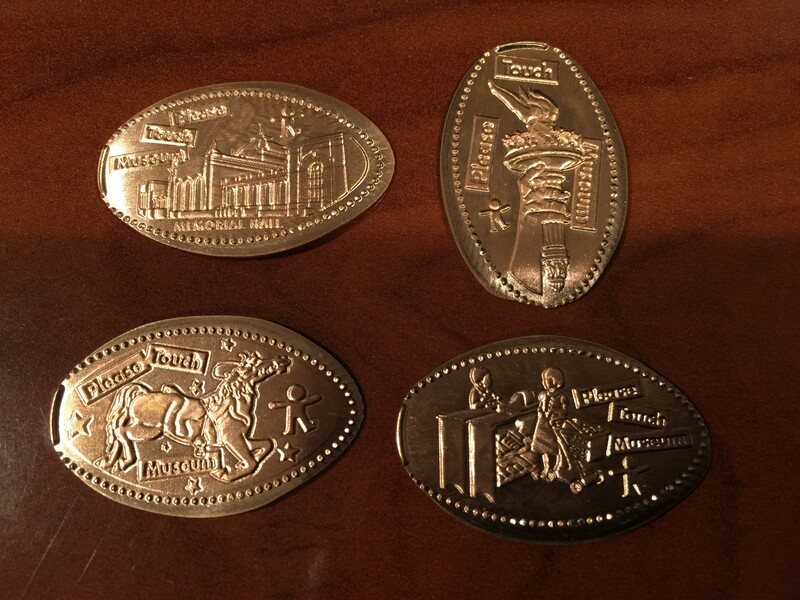 The four designs all said “Please Touch Museum” and had a picture of the Museum, the Statue of Liberty Torch, a Carousel Horse and Kids in the mock Grocery store. We headed back into the museum and explored the remaining areas. Hanna had such a great time she was nearly a sleeping zombie by the time we headed home. She was asleep about 30 seconds after we got back in our car. As I saw her sleeping but smiling face in my rear view mirror I knew this was a great little trip. We would definitely be back, and now that I knew they had a penny machine it was truly a grace place to visit.